Dull, faded and worn fibreglass can easily be restored to original colour and a brilliant shine by using the right materials in just three simple steps. Waxing your boat not only improves it’s appearance – it also protects the surface against attack and makes cleaning easier by reducing the adhesion of dirt. Yellow, cracked vinyl windows and crazed acrylic (Perspex) washboards are the result of using incorrect cleaning products. 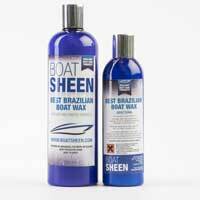 Brilliant boat care products – great for motorhomes and caravans too! Whether you operate a charter fleet, work as a professional valeter or maintain your own boat, time is valuable. You can get the best results and save time and energy by using the finest available products to clean, polish, restore and protect your boat. Specialising only in boat care products, we can help you select the right products for your application. 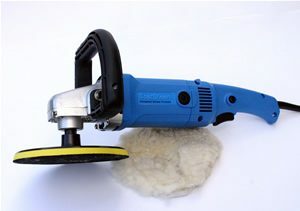 Our constant aim is to make Boatsheen products the best in class to give superb results with the minimum effort. Charter companies, fleet operators and professional valeters minimise costs by purchasing in economical large packs. We have no tie-in clauses – you can purchase at whatever level you require and we can help you optimise your maintenance regime. Please contact us for further information. Retail outlets and chandleries benefit from reseller terms on reliable products that meet real user needs. Please contact us for trade terms.